Examples from the state demonstrate the need to continue exploring the potential use of technology in governance. The estimated number is pegged at 650-700 million users. 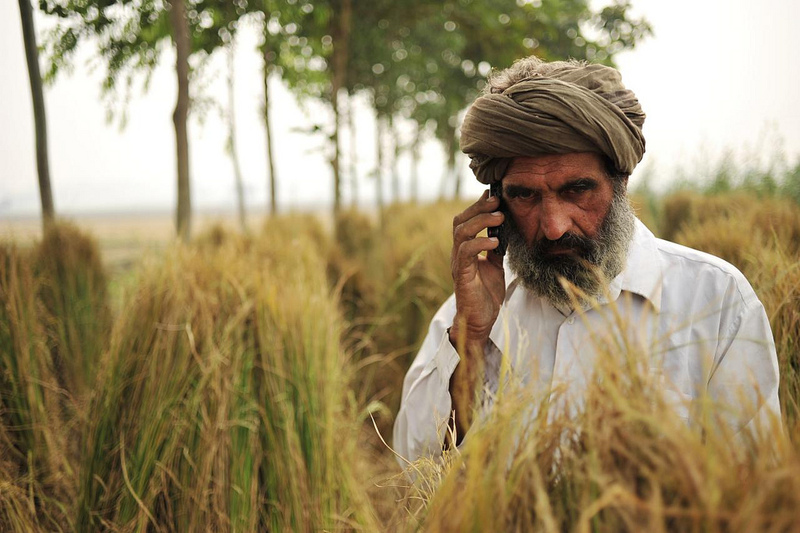 Moreover, according to the report, the most preferred medium for accessing the internet in India is through mobile phones. According to BCG, 73% of internet users in India access it on their mobile phones only and 25% access it on both, mobile phones and other devices. Only 2% of users do not access the internet on their mobile phones. Due to the increased number of users and advances in the ease of use, the internet has been adopted in different spheres – for good and bad – be it elections, social movements, trade and business, just to name a few. For instance, movements like the one in Telangana saw the widespread use of such technologies for creating awareness and mobilising people. Thousands of migrants from the Northeast were forced to flee from cities like Bangalore, Chennai and Pune for their safety in August 2012 due to mass fear generated by the circulation of threatening SMSs and MMSs. On the positive side, however, scores of smartphone-based start-ups have come up which enable consumers to book cabs, share a ride and order food, etc. Various communication technologies, especially social media platforms, have considerably impacted governance at the sub-division, district and state level in Haryana. WhatsApp caters to large audiences through the sharing of regular updates and feedback on groups from the office of the deputy commissioner (DC) and other department heads in the district. For instance, the Haryana government’s flagship programme, recently launched by the chief minister – called Antyodaya SARAL – is an effort to digitise all the services and schemes offered by the state to its citizens. 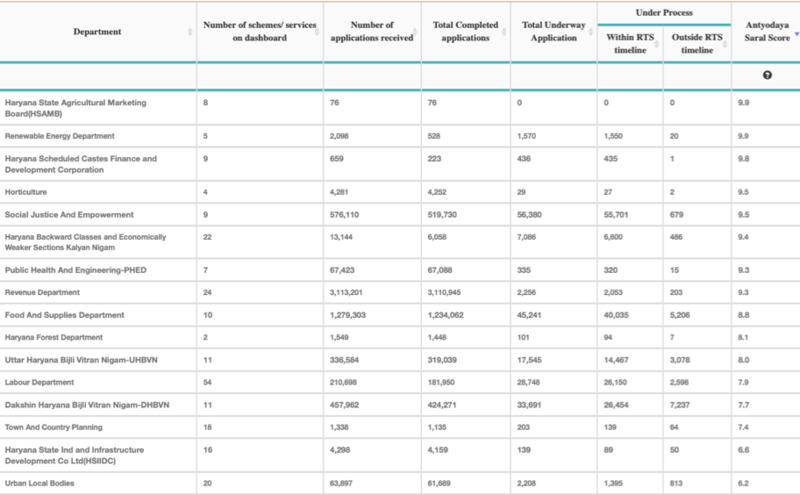 Mapped through a comprehensive dashboard, it shows the status of applications filed with different district departments which can, then, be tracked by the DCs. While presenting the pendency of applications against the responsible department, DCs get a regular snapshot of their current status. This snapshot is shared on a daily basis on the WhatsApp group in which the DC, additional DC and other officials are added. DCs themselves point out individual departments on the WhatsApp groups to resolve pendency. Similarly, another government programme, called Harpath, focuses on making Haryana pothole-free through citizen engagement by actively monitoring complaints in WhatsApp groups. 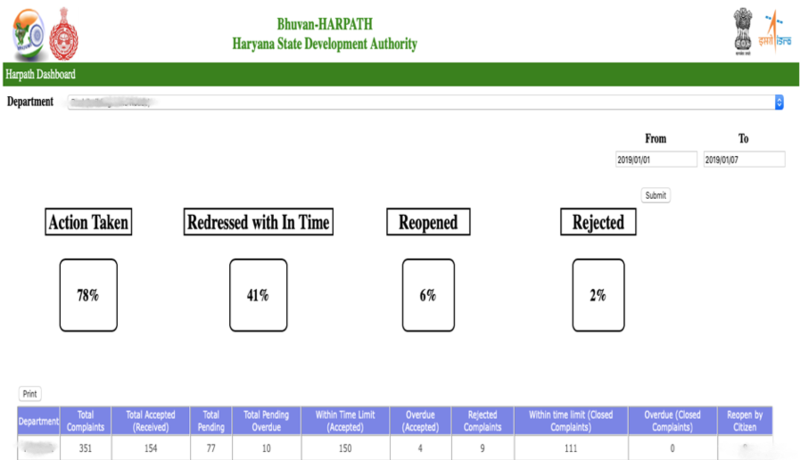 Snapshot of the Harpath platform for monitoring pothole-related complaints in Haryana. Total figures related to Harpath for a district. 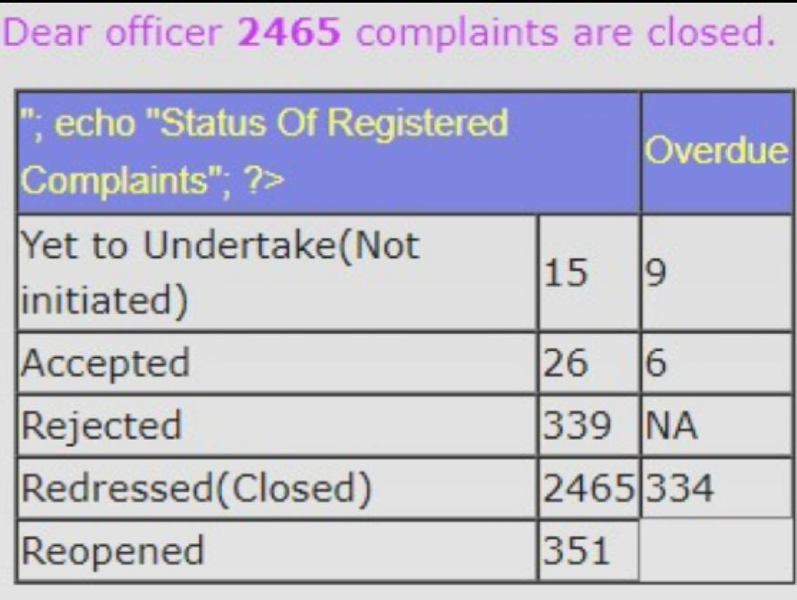 These dashboards are periodically reviewed by nodal officers in the districts. In case the relevant official is absent from the review meeting, the effective use of technology can be seen, including calling the officials during the meeting to ascertain their presence by the DCs. Also, in case an official claims to be out of station or travelling to state headquarters, DCs have the ability to video call them using WhatsApp to ascertain their claims. Furthermore, another initiative of the state government, called Saksham Haryana, aims to make students of classes III, V and VII of government schools grade-level competent. For this, ‘Saksham teams’ have been formed for every education block in the districts and are added to the district Saksham WhatsApp groups. The primary responsibility of the members of the Saksham team is to conduct weekly visits to the schools in the block for mentoring and monitoring purposes. 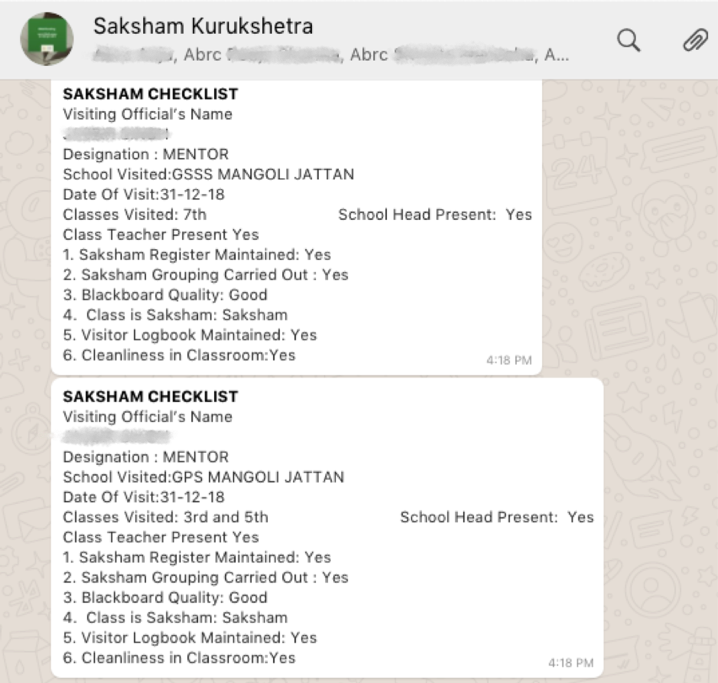 In districts such as Kurukshetra and Bhiwani, a Saksham checklist is shared by the team members on the WhatsApp group. Snapshot of the district Saksham WhatsApp group. These checklists play an important role for the district officials. Since these are text messages and not images, when an official visits a schools for monitoring purposes, he/she simply needs to search the school’s name on the respective WhatsApp group and access details such as the frequency of school visits, contact details of Saksham team members who visited the school, etc. The checklists shared on the WhatsApp also act as informal declarations by the mentors and monitors based on which they are also held accountable by the visiting officials. The aforementioned instances are just some of the ways communication technologies have enabled governance at the district level – either by presenting a comprehensive dashboard to the DCs or by bringing all the department heads at the district level on the same platform, inter alia. Other communication tools, such as video conferencing and CCTV monitoring, are slowly becoming constructive mediums of communication and monitoring of work. Furthermore, it also depends on the individual officers’ tech-savviness and how they adopt and utilise these communication technologies. These forms of technology have been steadily percolating within the administrative complex. Such instances edify the need to further explore the scope of technology for better governance. For instance, in the future, meetings can be made more streamlined through providing real-time information on the commencement times, etc. In any case, it appears likely that technology will play a pivotal role in the way the bureaucracy functions and administration is carried out in the future. 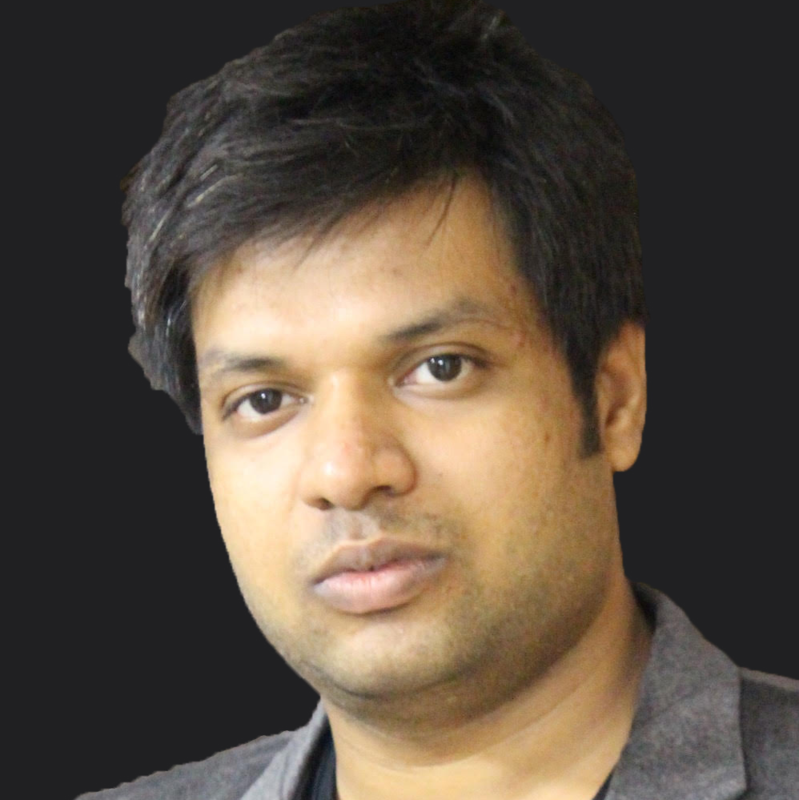 Nikhit Kumar Agrawal is an associate at the CMGGA programme, Haryana.